Here’s a quick look at some of our favorite, beautiful scrapbook layouts from 2016 ‘s monthly collections. Scrapbooking started out as a fun, creative hobby for us and now is an inspiration we get to share with crafty members monthly. We just love taking a look at all of our creative layouts from the year and putting them all in one place for you to enjoy. Hope one will inspire your next project! This layout is simple and easy for anyone to create. It comes from our May, Sweet Day collection which is all about springtime blooms, and summertime sunshine around the corner. The colorful patterns and beautiful cutouts highlight the outdoor celebration enjoyed by these sweet couples. Vacations can be full of unforgettable memories. What’s a better way than a fun, travel-focused layout like this one below. It comes from our beautiful Explore Collection this June. Other fun elements you could include in your layout are souvenirs, brochures, or excursion tickets from your journey! Click here for the full tutorial. The month of August is a nature-inspired, country-time Homestead collection. The month includes patterns of plaid to livestock and elements of homestyle tender, love, and care. We love the use of multiple scraps to create a layered-background banner. We were skeptical at first, but all the patterns and colors flow perfectly against the rustic woodgrain fence paper. What do you think? School photos, achievements, report cards, and events are so fun to highlight onto scrapbook layouts. This one here comes from September’s Pop Quiz collection. This collection had all the little details you’d want to highlight a fun, memorable school year like this guy’s 1st day back to school. Don’t you just love the little details in this layout and their placement? Click here for the full tutorial. Do we need to say more? Check out this festive layout from our most enjoyed Spooktacular collection this October. We love the layered banner made from scraps of different pages in this collection. Clearly, we are a fan of using scraps! The festive spooky patterns mixed with the fun dotted background are perfect for this Halloween memory. Well, that’s a wrap on a few of our most-loved, and fun layouts from our monthly scrapbook collections of 2016. Each layout uses papers and embellishment from one monthly, scrapbooking kit (no additional papers or products were needed). We include layouts designs like the ones above in each of our monthly kits to help as a starting place or simply inspiration for your layout that month. 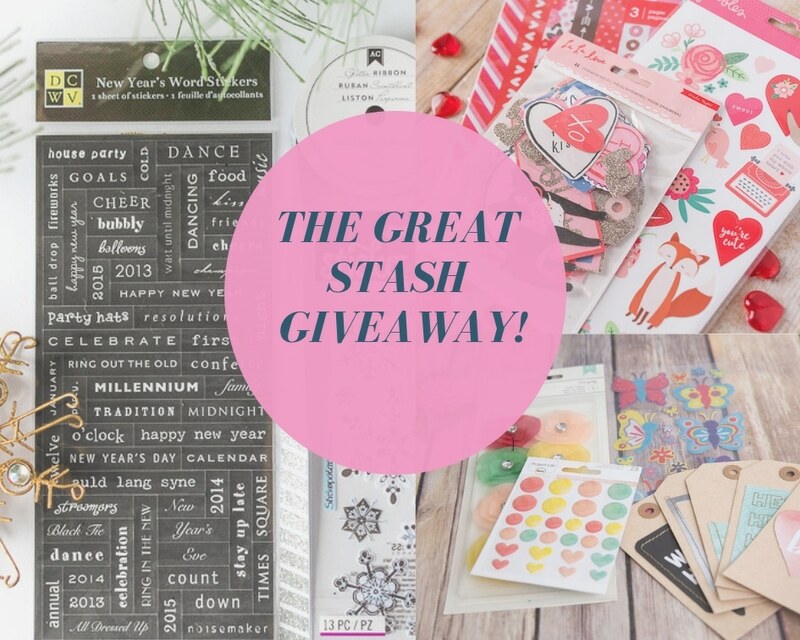 If you love what you see and want to begin receiving premium quality scrapbooking kits join our crafty club! You can easily become a member by subscribing here to unique and fun monthly scrapbook kits. You’ll receive a beautiful kit like these every month with step-by-step monthly layout inspirations.